I choose to see this movie because few Peruvian movies (i do not remember anyone) are historical. 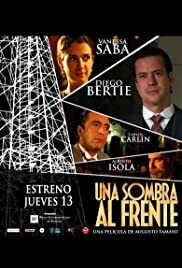 "Crossing a Shadow" is an original drama that takes place in Lima of 1910. The bad thing is that The director, Tamayo, takes too much time to explain the main argument of the movie. Many scenes are unnecessary long and Tamayo fails in reach the main idea. At the end of the movie the audience knew what Tamayo wanted to explain but were still waiting for what they pay.. 'the great main scene'. Nevertheless many scenes are fantastic like the ones between Doris Beltran (Vanesa Saba) and Enrique Aet (Diego Bertie). Beside the limited budget, this movie is a great step to achieve a world class cinema.